Tech has regained the broader market leadership once again with Apple doing well this past week. The news on the stock is the expectation of a video streaming service. Boeing was the big laggard as all of their 737 Max 800 planes were grounded following a second accident. Indices for the week were up nicely with the S&P up nearly 3%, Nasdaq up 3.78%, but Dow lagging at +1.64% thanks to Boeing. Bonds also did well thanks to falling yields with the AGG up 23 bps, high yield up 80 bps, and munis up 17 bps. Other than the Brexit deal again being delayed, the largest news flow on the week probably came from the retail sales data. January sales rebounded slightly from that horrible number we saw for December. However, December's numbers were revised down to -1.6%. Hard to imagine that people are going to save that much more as wage gains hit the largest figures since 2007. More likely there's something faulty in the data. Some suggest the absence of Toys R Us in December could be the culprit. Bond yields were the other big story. With consumer prices coming out mid-week showing a 1.5% increase in February, below January's 1.6% pace and slower than expected, inflation is not a concern. The lower CPI supports the Fed's view for pausing here. All in all, the reasons for the resumption of the rally are the same as they were two months ago: an accommodative Fed, restrained inflation, signs of improvement in China, a China trade deal negotiations progressing, and a strong earnings season. It appeared more that the markets needed a period of consolidation before advancing again. And while Brexit produced a ton of media attention, it really has little bearing on our markets. Europe is still a basket case (as it has been for most of the last decade) which is helping to boost the dollar. Until that reverses, it is hard to imagine international developed stocks outperforming the U.S. In fact, the US dollar is probably the largest risk to the market as EPS growth for the S&P is already a bit shaky and a higher dollar would reduce that further. Interest rates continue to inch lower and broke the psychological 2.6% level on Thursday, hitting the lowest level since the start of the year. The two-year yield, which is a good barometer for Fed actions, also continues to sink lower. It has made an incredible move since mid-November when it nearly hit 3%. Clearly the lower interest rates along aid our closed-end fund strategy. The more important figure is the 2-year number, which can be used as a benchmark for borrowing costs for the leverage within the funds. The lower the 2-year yield, the lower the interest costs, and the greater the earnings power of the fund. Blackstone/GSO Sr Floating Rate (BSL): Monthly distribution was increased by 3.7% to $0.111 from $0.107. Clough Global Equity (GLQ): Monthly distribution increased by 6.5% to $0.1123 from $0.1055. Clough Global Opp (GLO): Monthly distribution increased by 5.6% to $0.0882 from $0.0835. Clough Global Div & Inc (GLV): Monthly distribution increased by 3.4% to $0.1032 from $0.0998. India Fund (IFN): Quarterly distribution decreased by 4.8% to $0.59 from $0.62. Blackstone/GSO L/S Credit Income (BGX): Monthly distribution decreased by 1.7% to $0.115 from $0.117. Blackstone/GSO Strategic Credit (BGB): Monthly distribution decreased by 0.91% to $0.109 from $0.11. Blackrock Debt Strategies (DSU): The fund announced the start of a 5% tender offer at 98% of NAV. The tender offer expires on April 15, 2019, 5pm EST. Blackrock Science and Technology II- The fund filed a N-2 form for an initial public offering on February 28th. Further details will be released soon. The fund looks to be similar to BST. Discounts continue tighten albeit much more slowly than we saw in January and February. Over the last 3 weeks, the discounts on bond CEFs have tightened about 22 bps overall ending the week at -4.95%. This compares to 5.17% at the start of the month and 6.25% in mid-February, the last time CEFA issued their weekly update (and inexplicably stopped issuing the report). Munis again did well last week with taxable muni NAVs up nearly 1% and tax-free national munis up 52 bps before falling back Friday ending at the bottom of the list. Single-state muni NAVs were right behind them near the bottom. These sectors have moved significantly since the start of the year (and we will have a muni update out next week). The one-year z-scores for the tax free income single state sector is now +1.3, the richest of any sector. National munis are second at +1.07. The average discount is down to just over 5%, well in from the 10-15% level we saw in December. For those with larger (and more tactical portfolios) of muni CEFs, you may want to slowly and lightly begin to trim some positions. Those z-scores are not anything to worry about and do not indicate a massive overvaluation by any stretch, although some due diligence is needed to decipher which individual funds are expensive and which are not. Surprisingly, high yield CEFs are now the next most expensive sector with a +1.26 z-score. Remember, these z-scores have not yet risen to the egregiously overpriced levels that are typically reflected with a z-score above +2.0. If you look at what has a negative value, Real Estate (Global), MLPs, covered calls, and some equity categories are there. But the level for those z-scores are not very low. Clearly discounts are not anywhere near where they were two or three months ago and compared to the last year are more on the expensive side. This is not a call to go to cash by any means. But the only purchase I have made in the last 10-12 days was some small allocation to Nuveen Senior Floating Rate (EFR). 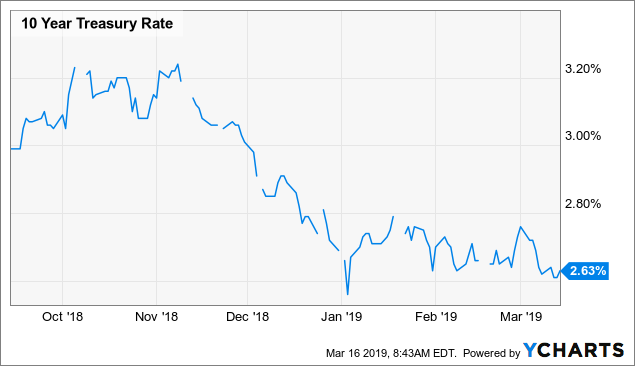 Floating rate itself has done what we expected it to do with discounts that are now far tighter than they were in early January when we wrote "Why Floaters Look Attractive Despite Lowered Rate Expectations." So here we sit, in no man's land, neither significantly overvalued nor significantly undervalued. Some specific funds remain on the cheaper side: ARDC, DBL, TSLF, and AFT. Others remain on the more expensive side: ECC, PGP, JHB, BGH, PDI, GBAB. Boring tends to be a good thing in CEF land. Without any obvious buy candidates and only marginal sell one's, we collect our income stream. The price performance of the group has been strong and perhaps has masked a bit of the NAV struggles. And when I say struggles I'm referring to some of the funds that have lagged others. For the most part, the entirety of the sector has done very well with all funds up YTD. Below is the premium/discount of the space. You can clearly see we are back to where we were prior to the fourth quarter swoon. That pricing performance is responsible for the strong YTD returns realized in accounts. But the NAVs (below) tell a different story. For example, you can see that PIMCO mortgage funds (PDI)(PCI) are nearer to the bottom of the list. But the category has a wide range of different types of funds. FT (Franklin Universal Trust) has a large allocation to equities - mainly energy stocks. To compare that to PDI which is predominantly mortgages is not an apples-to-apples comparison. PGP and RA also have large amounts of equity exposure. The stand out is BTZ, which is doing very well so far this year. The combination of steady rates and falling corporate bond spreads have aided the NAV of the fund. Mortgage-focused funds like many of those circled haven't zoomed out of the gate at the start of this year like their peers. However, they also didn't get clobbered like many of the funds that have large allocations to high yield bonds, floating rate, and other higher risk areas of the bond market. TSI is a lower risk fund without any leverage so it stands to reason it would lag a bit. GOF and GGM have significant positions in floating rate securities (mostly outside of the mortgage market) and rates have been stagnant to falling this year. We wouldn't draw any conclusions from the data and do not see anything that is a screaming buy. We tend to keep broad exposure to the space given the diversified sub-sectors of focus. For instance, PDI, PCI, and DBL give us exposure to the non-agency MBS space we like so much. BIT and BTZ give us the full spectrum of exposure to the corporate bond market- both investment grade and non-investment grade. And lastly, TSI is a great safe bucket holding that gives us a fairly low-risk 5.3% yield. First, sector performance for the week. Here are the stats on the Core funds showing the top and bottom 5 price movers, NAV movers, highest premiums, largest discounts, highest and lowest yields, and z-scores. We extend that to all CEFs showing the top and bottom 10.